We all know the secret to retail success – Location, Location, Location. Let’s assume you have your perfect location in the heart of downtown Little Rock or Argenta. You’ve secured your ideal piece of real estate, so now what? You must now let the world know! It’s time to tell your customers who you are and what you are all about. There is no better or more cost effective way to do this than with exterior and interior graphics. Why is this such an effective way to spread the word? Believe it or not the brain processes visual information 60,000 times faster than text! Sure, signs are pretty. But they are effective 24/7. The best signs will inform, sell, educate and entertain. 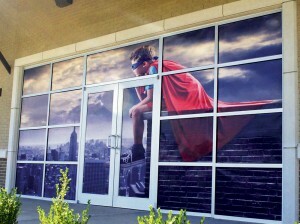 CustomXM can help you enhance that “first appearance” look with exterior signs and promotional window graphics. Inform your customers and visitors to the Little Rock area about product features and promote specials inside your business with banner stands, floor graphics and digital signs. Launch a new product or service with colorful point of purchase displays. Create custom wallpaper and counter graphics to expand your brand throughout your interior location. 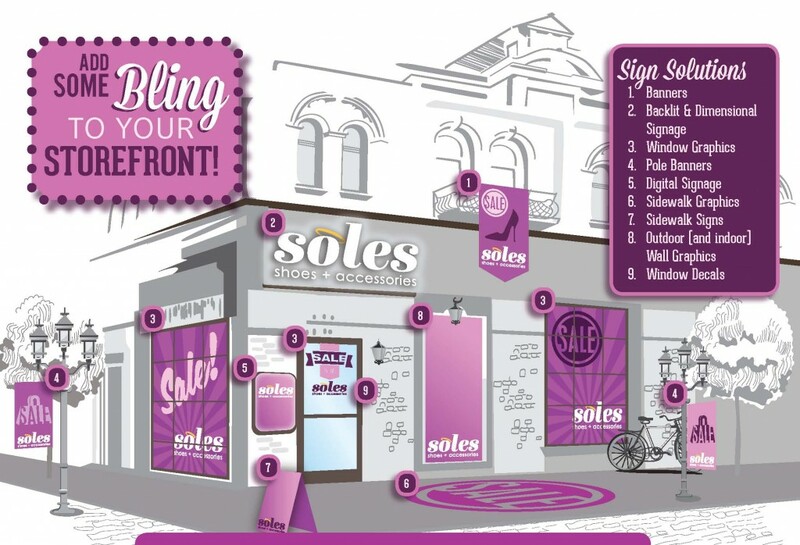 Retail signage and graphics tell a story, leave an impression and set a tone. The proper signage inside and outside of your business can inspire confidence with customers and employees alike. 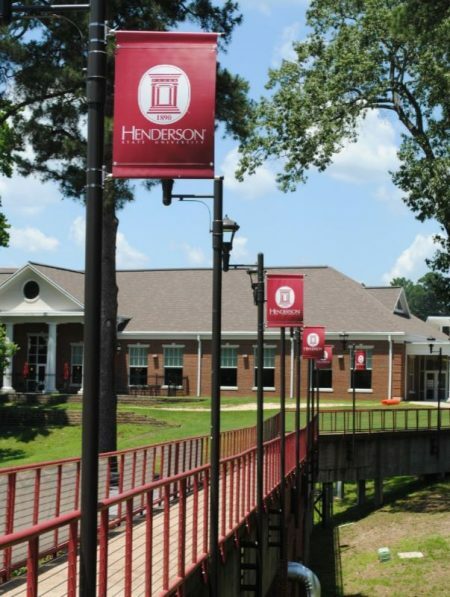 The graphic above gives several examples of effective, affordable uses of exterior signage. But remember, interior signage such as sale signs, floor graphics, POP displays are equally effective and affordable. Need photos of interior or exterior graphics? We love a challenge. Let us increase your visibility, help tell your story, and expand your brand.